The Brahmaputra river in Northeast India means many different things to the diverse communities in the region – their lifeline, recurrent and destructive flooding and erosion – but by most it is not considered holy. Mitul Baruah reflects on the anti-politics of recent attempts to Hinduize the river, which divorce it from its specific historical-material context. 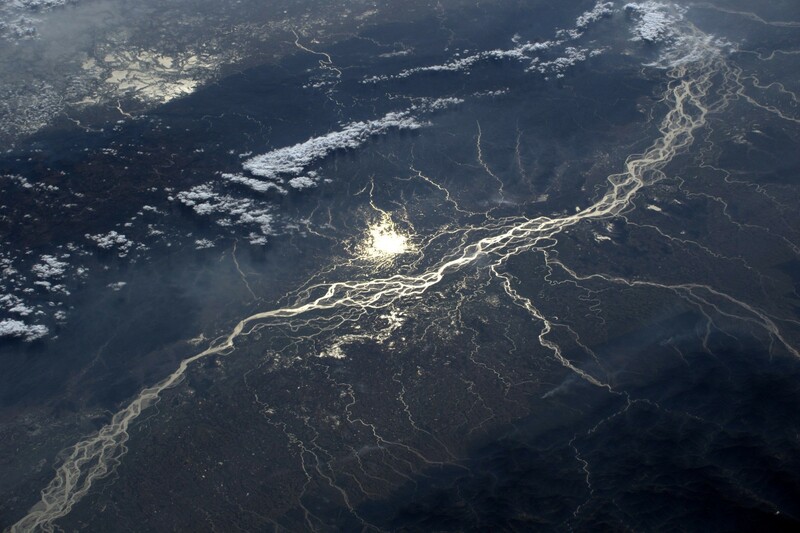 The Brahmaputra river seen from space. Source: Thomas Pesquet, ESA. 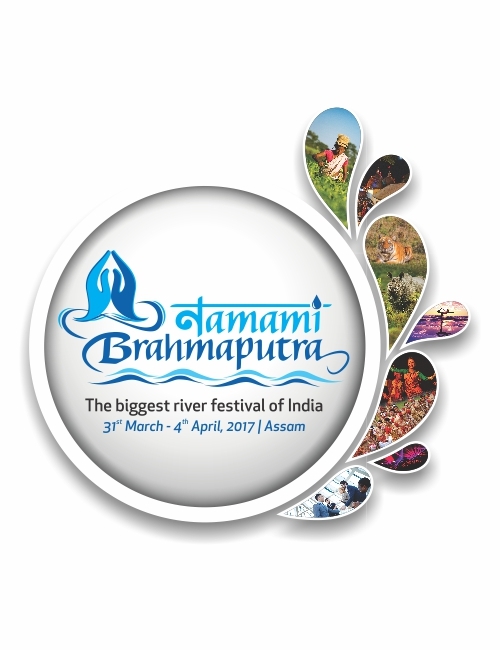 From 31 March to 4 April 2017, the northeast Indian state of Assam witnessed a spectacle: the apparently largest river festival in India, Namami Brahmaputra. This five-day long event dedicated to the Brahmaputra, one of Asia’s largest rivers, took place at a time when the Hindu right wing party, BJP, currently ruling party in the central government and in most states of the country, has just come to power in Assam. Following a larger national pattern, in Assam, too, the BJP-led government has been making a concerted attempt to hinduize the state’s diverse socio-cultural practices. The Sanskrit word “Namami” translates as “I worship thee”. Thus, an attempt has been made for the first time to sacralize the Brahmaputra (like the Ganges and the Yamuna in the Hindu heartland), and enroll it into the Hindu(tva) imagination. Composed of a series of events, the worshipping of the Brahmaputra remained the essence of this festival. But what are the implications of such an attempt to hinduize a river that was thus far not? This piece presents a critical analysis of the potential impacts of the “Namami Brahmaputra” festival and its larger politics. I grew up in Majuli, a river island located in the middle of the Brahmaputra river. The people of Majuli share a deep and complex relationship with the Brahmaputra. On the one hand, the Brahmaputra is vital to the agrarian economy of Majuli and it also supports the island’s rich and diverse ecosystem. At the same time, the Brahmaputra has also caused enormous miseries on the island through the twin processes of flooding and riverbank erosion. Either way, the Brahmaputra remains inseparable from the lives of the people of Majuli. It constitutes the everyday on the island. Yet, the Brahmaputra has not been deified in Majuli. To the people of Majuli, the Brahmaputra is anything but sacred. There have been instances where sattradhikars, the religious and administrative heads of the sattras (15th century Vaishnavite monasteries in Assam, with Majuli being the nerve-center of these institutions) have offered bhog (an offering in the form of rice pudding) to the Brahmaputra for the protection of the island from erosion. However, these are desperate acts performed only in times of intense flooding and erosion, and not the norm by any measure. Moreover, such acts are always performed by the sattradhikars, never by the ordinary inhabitants of the island, and are therefore not considered as part of the local culture and tradition in Majuli. 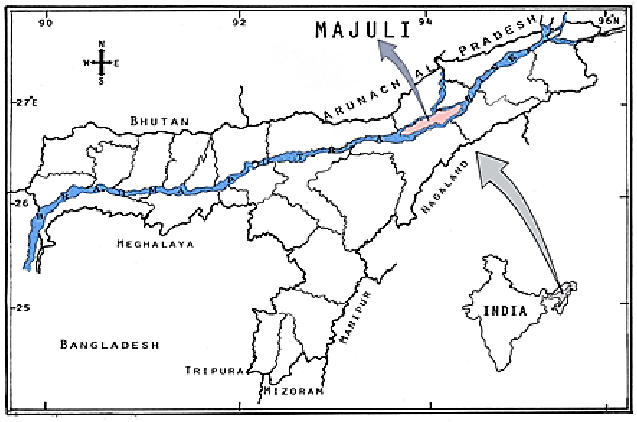 Map of the Brahmaputra river and Majuli island. Source: researchgate.net. The case of Majuli is illustrative of the Assamese peoples’ relations with the Brahmaputra as a whole. Rohmoria in the upstream, Lahorighat and Palashbari in the middle portion, and South Salmora in the downstream all share similar crises of flooding and erosion, and like everywhere else in the Brahmaputra valley, these places also depend heavily on the river for local livelihoods. However, as an ethnographer working with the local communities in many of these places, I have never come across any instances of worshipping the Brahmaputra. Neither in scholarly work, nor in the popular culture in the valley has there been any reference to such religious practices vis-à-vis the Brahmaputra. Thus, the Namami Brahmaputra festival, centered around the performance of various Hindu religious rites along the river, is initiating a new trend in the Brahmaputra valley. 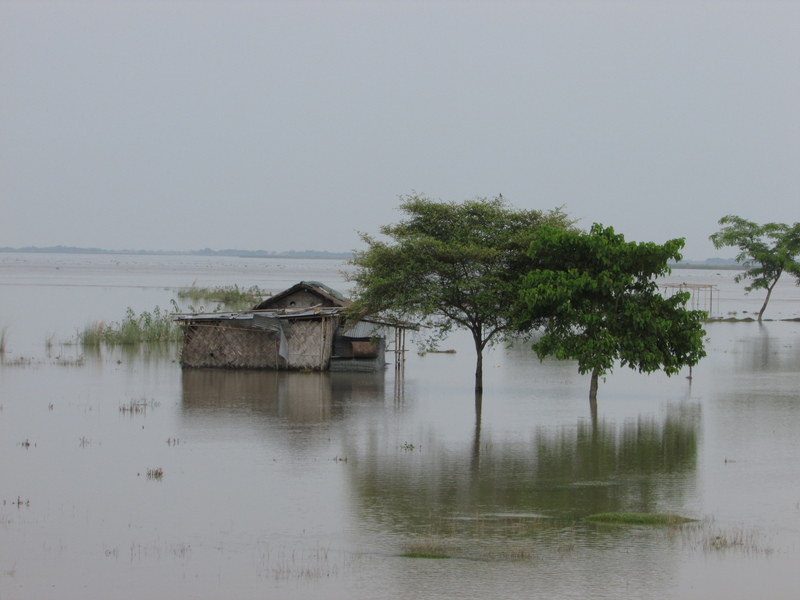 Floods in the Brahmaputra river valley. Photo by Mitul Baruah. 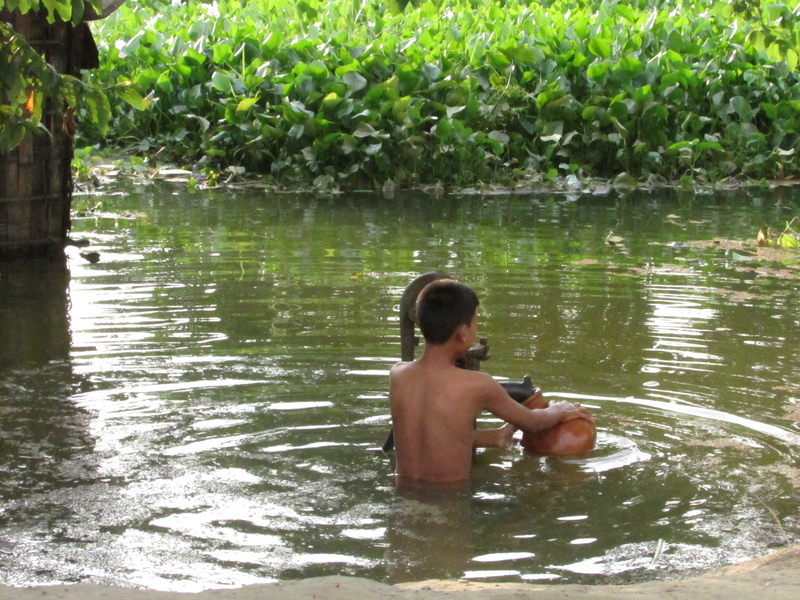 Boy fetching water from a well during floods. Photo by Mitul Baruah. 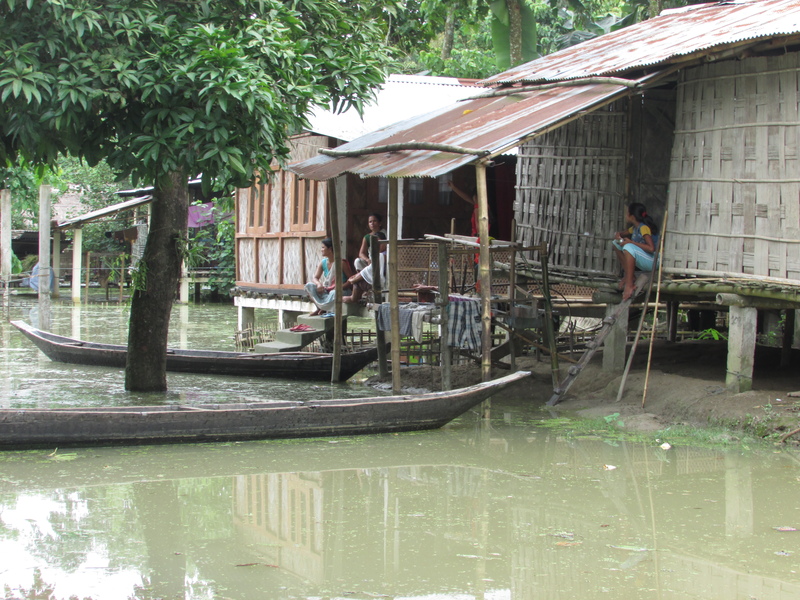 Boats are a common means of transport in Assam during times of flood. Photo by Mitul Baruah. 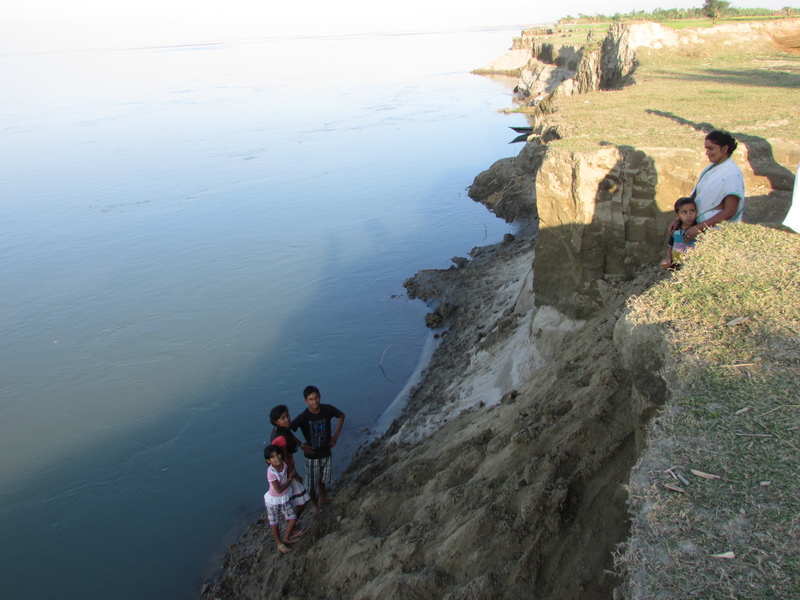 The processes of flooding and riverbank erosion wreak havoc in the Brahmaputra valley on a regular basis. For instance, as per government records, between 1954 and 2012, about 7.4% of the total landmass of the valley has succumbed to erosion, resulting in the disappearance of thousands of villages and dozens of towns. About 40% of the total landmass in the valley is flood prone. Many of these places are ravaged by three to four waves of flooding within a year. It is April now, and the flood season is less than two months away. Ask any villager in the Brahmaputra valley what their primary concerns are at this time of the year. The answer, unmistakably, would be: the fear of the upcoming flood season. As various studies have shown, most of the embankments in the state have far outlived their life, which means that they can be breached at any moment, putting lives and livelihoods in the valley at serious risk. Similarly, while riverbank erosion continues unabated in the valley, most government projects for erosion control are either abysmally poor in quality or are perennially incomplete. Majuli, again, is a classic example of this, leading to the continued shrinking of the island’s geography. Is it then a time for a wasteful river festival in Assam? Shouldn’t the government rather be working on war-footing to repair the dilapidated infrastructures in the valley to prevent another catastrophe this upcoming monsoon? Shouldn’t it be investing in building capacities of the local communities and institutions to better adapt to natural disasters? These are important questions, for which the local population in the valley deserves an answer from the state. The Water Resources Department in Assam is notorious for its last-minute interventions, which has always been a part of the flood problem in Assam. 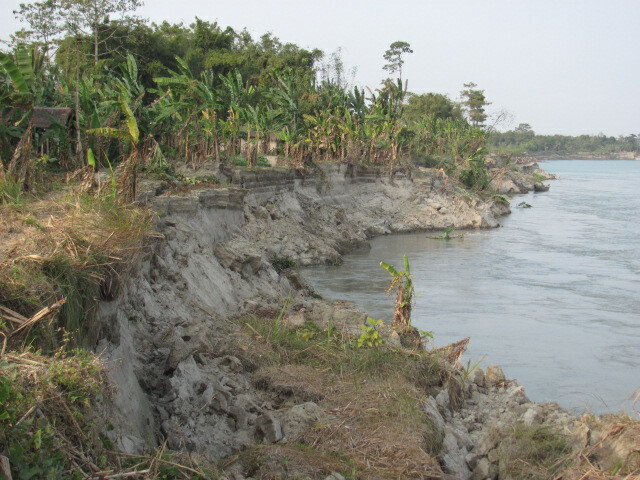 River bank erosion along the Brahmaputra destroying agricultural land. Photos by Mitul Baruah. The Brahmaputra is the lifeline of Assam. But the river has meant various things to various communities living in different parts of the valley. For instance, a Mising fisherman in Majuli relates to the Brahmaputra very differently from a Muslim char dweller in lower Assam, or a Karbi farmer in the hills. These diverse associations are rooted in the specific material relations that people share with the river across time and space. Accordingly, a diverse set of socio-political practices have also emerged in the valley over the years. The Namami Brahmaputra rhetoric tends to erase this diversity and homogenize it all under the larger canvas of the Hindu symbols and imaginations, thus robbing the river off its specific socio-historical context. The “anti-politics” of the Namami Brahmaputra rhetoric is worth noting too. For the people of Assam, the Brahmaputra is a source of both happiness and sorrow, the latter having given rise to deep social discontent in various parts of the valley and to the formation of various social movements. Whether such discontent is only with the state, as it often appears, or also with the river itself, triggered by epochal flooding, unabated erosion, fish epidemics, etc., is another matter. But the point is that the Brahmaputra is not considered “holy” by the local communities, and in times of cataclysmic events, people don’t shy away from aiming their wrath at the river. Namami Brahmaputra takes the Brahmaputra away from the material and elevates it to the religio-spiritual realm instead. Are we to assume that with this newly acquired “holy” status, the Brahmaputra will henceforth beseech only veneration and not any act of resistance on its banks? The government seems to suggest us so. 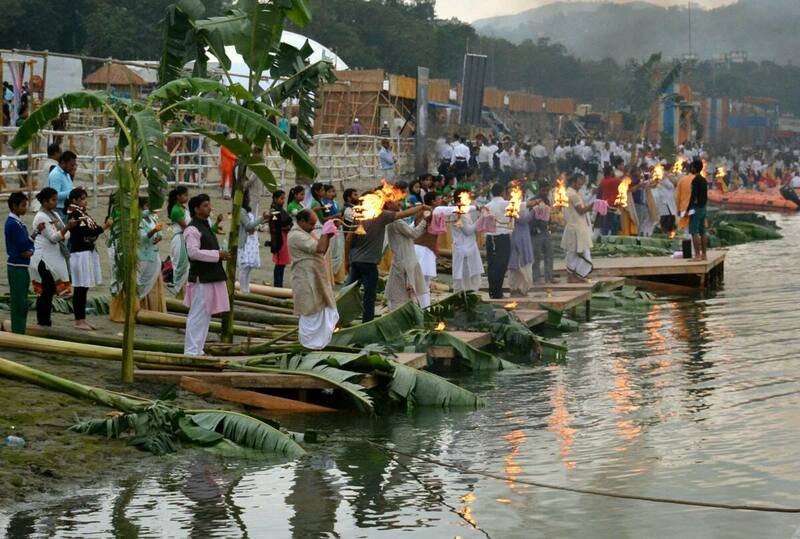 A scene of worshipping the Brahmaputra at the Namami Brahmaputra festival. Source: guwahatiplus.com. * Mitul Baruah has carried out extensive fieldwork in the Brahmaputra Valley for his PhD thesis “Suffering for Land: Environmental Hazards and Popular Struggles in the Brahmaputra Valley (Assam), India” (December 2016, Syracuse University, USA). Currently he is Assistant Professor of Anthropology and Sociology at Ashoka University, India. His research interests include political ecology, water, agrarian studies, natural disasters, and South Asia. A longer version of this post has previously been published on RAIOT.